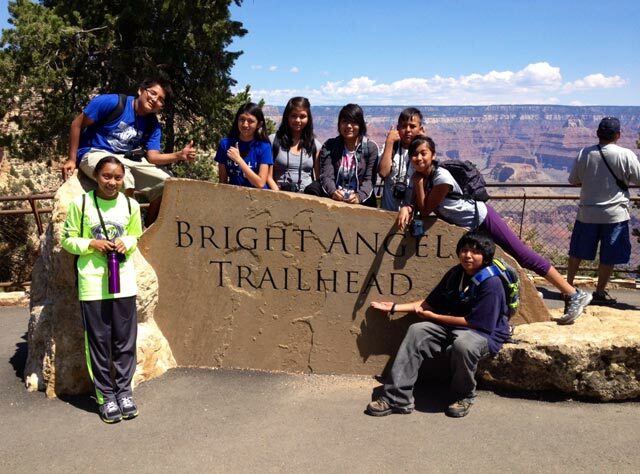 2013 was peppered with highs and lows at Grand Canyon National Park. No list of the former would be complete without the unveiling of the massive improvements to the trailhead of the historic Bright Angel Trail. Restrooms, parking, shade structures, and interpretive exhibits now anchor the gateway to one of the most well-known trails in the National Park system. These were all accomplished thanks to a public/private partnership between the National Park Service and the Grand Canyon Association and its many donors and members. In the negative column for 2013 milestones, the prize goes to the park closure that was precipitated by the government shutdown. As Congress squabbled, families, school groups, and individuals from all over the world were denied access to their public lands and the transformative experience that is typical of a hike, bike, or picnic along the rim of the majestic Grand Canyon. This author invites you to make a point of journeying to the park in 2014; whether it is your first visit or a re-kindling of your passion for this iconic landscape. If you’re looking for fun events and activities to enhance your visit, visit the following websites: Grand Canyon National Park, Hit the Trail, and the Grand Canyon Association. They are regularly updated throughout the year with opportunities such as the Celebration of Art, Wildlife Day, Kolb Studio exhibit openings, and the Star Party. Happy New Year everyone, may it be your best yet.